We have a head for headhunting! We respect our customers’ time. Therefore, we always prepare a realistic assessment of the situation and recommended solutions. We support you in making business decisions within the area of HR. We undertake complex tasks which cannot be entrusted to every HR company. At present, we are running a number of recruitment projects. Some of them are confidential or conducted by the direct search method. For those we can disclose, see below. The selection of candidates matched to the customer’s needs is a critical step in the recruitment project. We look for candidates using a variety of methods and tools, searching from all the available sources. Sometimes, however, it is them who find us. We verify their specialisations and observe the development of their career path. We know that this process requires constant care and maintenance, but thanks to this we can always come up with our offer at the right time. We treat a CV as an introduction to the conversation rather than a final summary of achievements. We analyse what is hidden behind the lines, find the personality and competence, which are not always visible in the names of positions themselves. We take care to ensure our candidates are matched to the customer’s needs as much as possible. We use relevant tools to enable a reliable verification. We want the candidate we select to be the right person for the right position. We compare his or her skills to those expected by the customer, taking into account the needs of both parties. We make the man-to-man match deliberately. All this is because there are no better or worse people... just those who are incorrectly selected. We are based in Cracow, but implement recruitment projects all over Poland. Every day we establish new relationships with specialists and managers from different industries and environments, due to which we can reach the best candidates faster and more effectively. 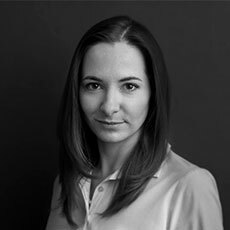 Anna Dolot, PhD is an academic teacher at the Department of Human Resources Management of the Cracow University of Economics. In the recruitment company ATERIMA HR, she is responsible for training and studies aimed at deepening our knowledge of specific areas of the labour market. She has been focused on the subject of HR for 12 years now; the author of articles and studies published in specialist and scientific magazines. She takes an active part in business and scientific conferences. An enthusiast, trainer and consultant in the area of recruitment, selection, motivation, evaluation and the development of employees. She shares her knowledge and experience during workshops, training and consulting sessions. She holds classes in, among other things, human resource management and MBA at the Cracow University of Economics and the Cracow School of Business. 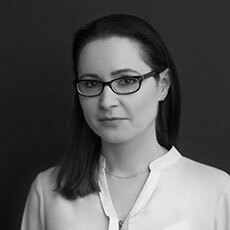 She has acquired her professional experience with external and internal recruitments in Cracow’s employment agencies. For more than 5 years, she has been supporting our customers in selecting the appropriate employees for specialist and managerial positions of different profiles including, but not limited to, sales and customer service, logistics, technical and production positions, marketing and HR. She took part in the creation and implementation of AC projects. Since 2015, she has been leading and coordinating the work of ATERIMA HR as the head of the Specialist Recruitment Department. 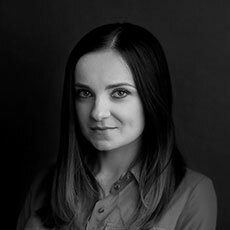 She has been working in the industry for over 9 years, leading the managerial and Executive Search projects for Polish and international companies. She recruits employees for specialised and niche positions in the manufacturing, R&D, financial and accounting, trade and marketing sectors, to name but a few. She also participates in consulting projects, such as AC/DC or attitude and opinion surveys. What do recruitment specialists and football players have in common? What counts in both recruitment and American football are orientation towards the goal, team work and a good strategy. This helps the team to win one game after another, and ATERIMA HR to successfully search for the best candidates. Customers know that they will always get an honest assessment of the situation from us. This means that many of them return to us with other projects. at our customers’ disposal, looking for the best solutions and responding to the emerging needs on an ongoing basis. We appreciate our customers’ time. The effect of the process are most often 2-3 recommended candidates. We shoulder the responsibility. We grant 1 to 6-month warranty for the employed candidate. I have read the information about the rules of processing personal data by Grupa ATERIMA Sp. z o.o. Sp.k.